Do you want to reduce your Facebook ad costs? Wondering how to spend less to convert cold audiences? In this article, you’ll find four tips for reducing the cost of acquiring and converting new customers with Facebook ads. AdWords has a quality score to control ad performance. A higher-quality score results in a better ad position with a lower CPC (cost per click). As far back as 2016, analysis from Jacob Baadsgaard showed that a 1-point quality score increase can drop your cost per conversion by 13%. Similarly, Facebook has a relevance score that performs largely the same function. And, in 2017, AdEspresso found strikingly similar results, where a higher relevance score meant a lower CPC. So how do you work toward a good relevance score? First, create a Facebook sales funnel with top-of-funnel (TOFU), middle-of-funnel (MOFU), and bottom-of-funnel (BOFU) campaigns. It’s the same inbound marketing playbook but applied to ad campaigns. Second, build audiences around each of these three goals. We’ll dive deep into audiences in the next section, but suffice it to say that retargeting campaigns will make up your MOFU and BOFU campaigns, while lookalikes should make up your TOFU campaigns. Third, organize individual Facebook campaigns around message match so that the audience, creative, and offer align perfectly. Pulling these three items together can drastically reduce your content promotion costs. The image below shows the difference between targeting a generic, saved, cold audience (on the right), and a lookalike audience created specifically for the campaign (on the left). The CPC for the cold audience was $0.477 (which actually isn’t terrible) but it dropped to only $0.125 for the lookalike. That’s a 74% cost decrease! If your budget is $1,000, that means you’re getting almost 4X as many visits. Better content will perform better—it’s as simple as that. Content engagement will be better on-site, and promotional costs will be less off-site. As evidence, below are the results from three Facebook TOFU content campaigns targeted to similar audiences, with similar ad creatives and placements, yet CPC differs significantly among the three campaigns. It’s $0.17 per click on the low end and $0.82 on the high end. So yes, you should follow the suggestions above but don’t lose sight of the fact that better content will be the underlying force that drives results, more than split testing a few creatives or placements. The three campaigns above consisted of a long-tail keyword post (B2B Marketing Ideas), an in-depth case study (Content Writing Services), and a first-person contrarian post. Guess which campaign won? The first-person one that recounted painful lessons with a contrarian angle. The other two are good for different things. They can help you drive search traffic over the long-term and emphasize your value to new leads who are on the fence. Big brands or high-volume sites can easily create lookalikes from past visitors or customers. Smaller, boutique sites don’t have the same luxury. So instead, grab an email list of all of your decent leads and clients, and upload it to Facebook. Then create a lookalike of 1% based on this list, plus a few more lookalikes for site visits and Facebook post engagements. That will give you a good-sized TOFU audience. 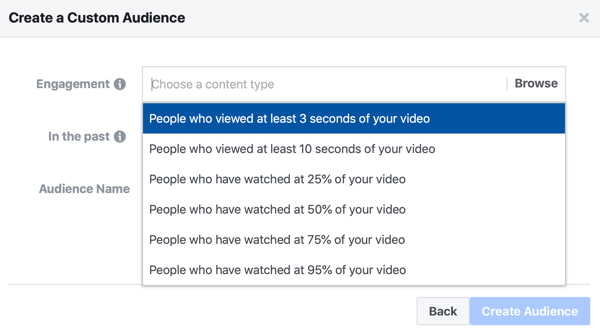 To take this a step further, run Facebook video ads and then build a video view audience for a few cents per view. Now reaching enough leads isn’t the problem; qualifying them is. You’re trying to reach a bunch of targeted yet random people in hopes of sparking interest. In short, you’ll spend a lot on TOFU content distribution but it’ll pay off in the next section. Facebook ad campaign performance will likely start sliding after a few weeks due to simple ad fatigue. Frequency begins creeping up so your ads stop cutting through the noise. This is especially true if you’re running evergreen content campaigns over and over again. Fortunately, the fix is pretty easy: You have to spend time creating images. I’ve found that when you’re promoting stuff on social media, simple images get higher click-through rates (CTRs). Two years ago, I would have put text and a CTA on the image, but now I tend to do the opposite. The simpler the image, the better it performs. And there’s no single winner for ad creative, either. So instead of chasing some mythical best practice, get in the habit of routinely split testing many variations. No, not A/B tests. Those often don’t work. Test big changes. For example, we tested a custom image, regular featured image, and a video commercial for the same post. The results varied widely. The custom image performed best with a $0.571 CPC, while the featured blog post image (which almost everyone uses as their default social image) performed worst at over $1.00 per click. We repeated the test with another campaign, and this time, the video outperformed the custom image by about $0.30. What’s the point? Big changes lead to big improvements in performance or decreases in cost. The news feed and right column ad placements on desktop devices are prime real estate for us. They convert well, which makes them great for our MOFU and BOFU campaigns and terrible for TOFU ones. But you’ll need to test Facebook ad placements for yourself to see what works best for your business. I know these placements work for us because I have the data. I ran the same content ad creative on mobile vs. desktop, and got about a $1 per click difference, which is massive. And these results were basically repeated in every test we ran. Mobile-based placements all generated low CPC. The best part is that mobile placements work perfectly for TOFU content-based promotion. Remember, the goal here is to build retargeting audiences of people who engage with your ads and click over to your website. You don’t necessarily care about exit or opt-in rates at this point. That will come later. For now, you’re just trying to maximize results for ad spend with real prospects. 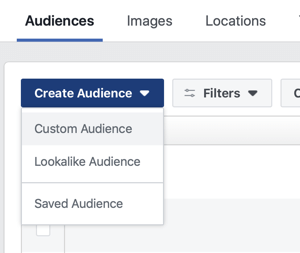 A Facebook sales funnel means you’re using multiple campaigns to drive those first few initial micro-conversions (e.g., opt-ins and form fills). With a $1.72 average CPC, your ability to consistently drive new leads will eventually hit a budget cap. Fortunately, you don’t have to be stuck with those CPCs. If you use the tips above to build real, engaged audiences, it will pay dividends lower in the funnel. This is also where you can get more aggressive, focusing on mobile lead ads, or news feed and right column placements. In general, these will cost you more but better audience targeting throughout this entire process means your CPCs shouldn’t increase too drastically. What do you think? 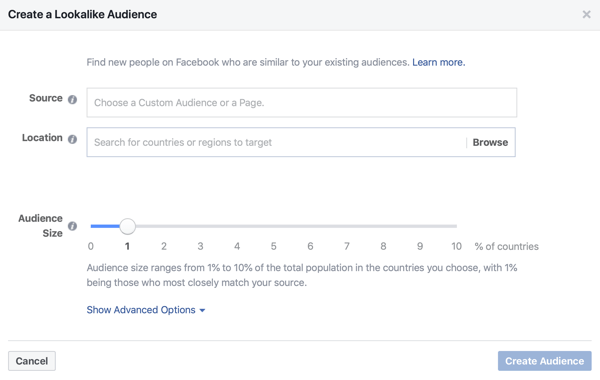 Which of these tactics for lowering Facebook ad spend will you try first? Do you have any tips to add? Please share your thoughts in the comments below.